On Feb. 3, the New Mexico chapter of the National Association of Hispanic Journalists was officially approved by national leadership. That day also ushered in the first event for the chapter, its homecoming party. 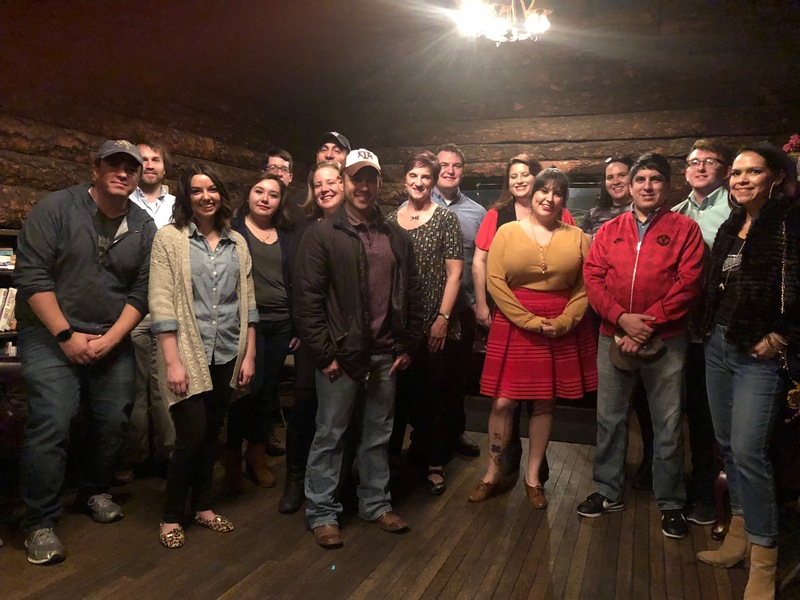 Members of the community and fellow journalists came to the Albuquerque Press Club to welcome the new chapter, show their support and consume tamales. President May Ortega talked on why she decided to reinstate the chapter – to help New Mexico journalists flourish. And Treasurer Wheeler Cowperthwaite and Secretary Amanda Martinez gave a preview of other events and workshops the chapter has planned. 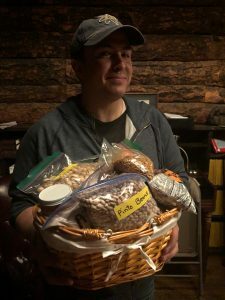 Raffle tickets were sold for a gift basket filled with Northern New Mexican goods, courtesy of the Rio Grande Sun and curated by the Romero Fruit Stand in Hernandez. All of the proceeds went to NAHJ NM. Chris Ortiz was the lucky winner, walking home with chile, honey, jerky and more. Many thanks to those who came, donated and supported our new chapter. Chris Ortiz claims his prize.